Does your HOA allow this? Well it’s about time they do, “times they are a changin” and we are running out of valuable resources. The days of sweeping lawns are passe and some neighborhoods associations are making a few very smart changes. 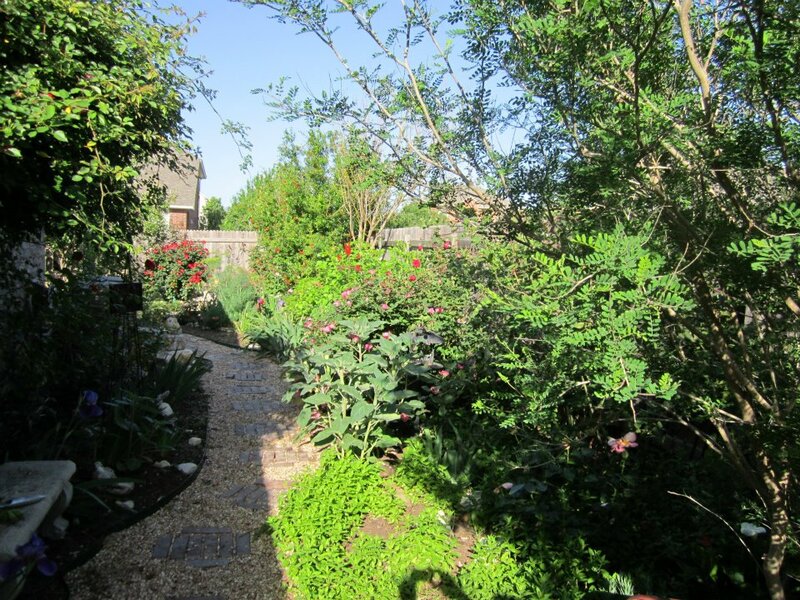 Grass isn’t everything…Texture, color, low water..Xeriscape! 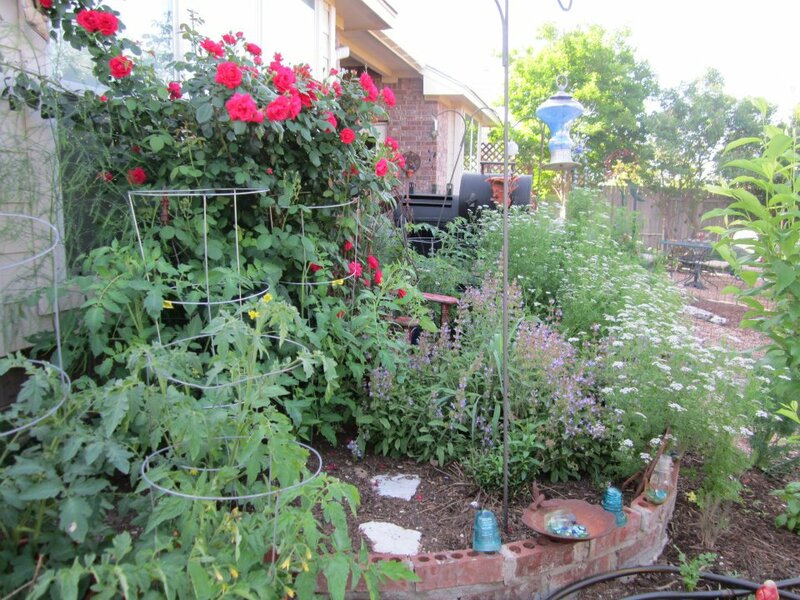 I featured many short video’s last year of my garden demonstrating that even in a drought the right plants will do well. The right plants are native and adapted and the soil needs to be living and rich with nutrients which begins with COMPOST!! Composting in the Spring and the very occasional fertilizing with Liquid Seaweed is all the work I do in my garden through out the Spring and Summer months. I like to enjoy my yard, not work in it all the time. 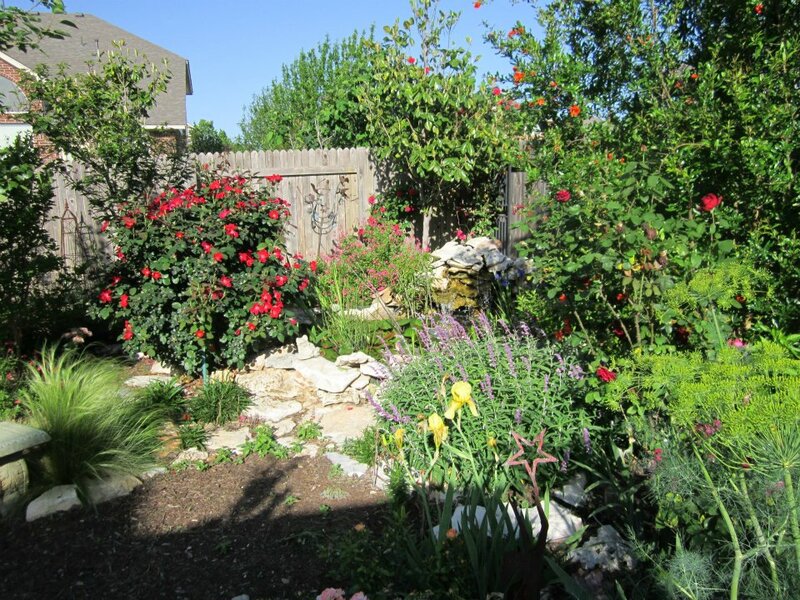 Proper plant and tree choices are critical to the overall success of your garden. When you choose plants and trees that are indigenous to the area, you reduce the need for over amending, many pest control issues and when you properly space your plants, the maintenance is practically nothing. Edible garden. Delicious as it is beautiful. I started this video in my front yard to show that my HOA here in Avery Ranch ( Austin Texas, now on stage 2 and many local area’s are at stage 3 watering ) has recently created a variance (with the persuasion of gardeners like me) and the good common sense of our now acting President and board members, allowing residents to Xeriscape 75% of their front yards leaving only 25% sod. By Creating a “variance” the board was able to “grant permission” for residents to make these changes without needing the majority vote from nearly 3500 homes, pretty genius really. They also allowed the variance to include the option of Buffalo grass in the front yard as well as the ability to completely transform your back yards into Xeriscape landscapes with no sod at all, or you could use AstroTurf in place of sod. Personally I could not be more proud to be part of a movement setting the trend for the way all HOA’s should be thinking in order to save water and reduce water hogging sods. Low water low maintenance garden. Xeriscape at its best! Check out my other video’s on YouTube!! Astroturf may be water saving but not environmentally smart. It uses petroleum products to manufacture it, wears out over time and ends up in a landfill, and inhibits healthy soil beneath it. I say, go all natural with ground covers. San Antonio, the other city you mention in this blog is probably in Stage 3 restrictions. Wow, 60% of our drinking water drained by sod is quite something…coming from India where water is a ‘true resource’, it pains me that we have to fight to create respect for it. Great job, Lisa, this fight is worth it. that genuijnely understands what they’retalking about on the net. and make it important. More people should read this and understand this side of your story. I was surprised you arre not more popular given that you surely have the gift.